This seems to only happen when Palemoon is opened from an external hyperlink. When opened from the favourite icon it generally doesnt seem to be an issue - the app will come up as palemoon.desktop from /usr/share/applications, however at times it has occured after the browser has been open for some time. 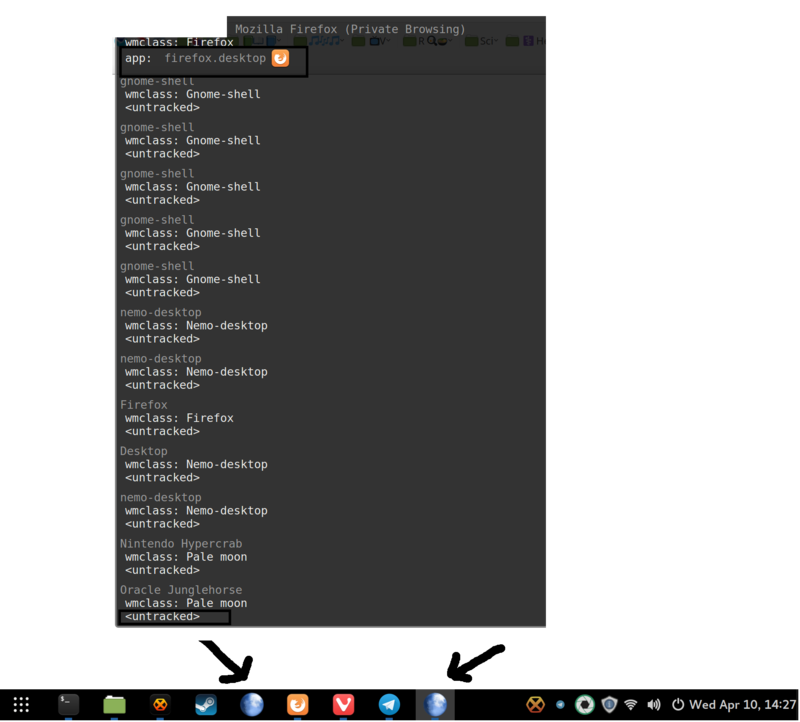 Not caused by any Palemoon or gnome-shell extensions as I have tried with all of them disabled and the issue persists. I suppose this is gnome-shell specific. Re: Duplicate taskbar/dash icons when Palemoon is favourited. The 64 bit linux Pale Moon 28.4.1 launcher icon has never duplicated for me on my Panel (taskbar), but on an off topic note, this happens to me when I'm using my installed 64 bit linux Teamviewer 14.2.2558 with it running in 64 bit linux Mint 19.1 (Tessa) Xfce. I figure it has something to do with Teamviewer's coding with regards to linux Mint.